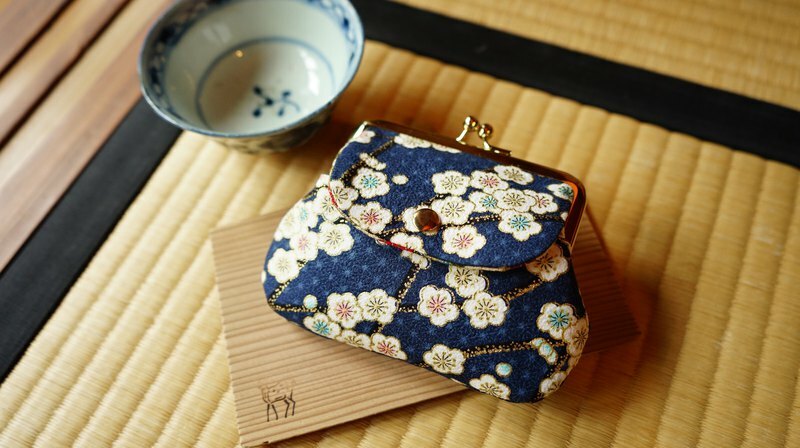 Hefeng Shen Jin Xiaomei pattern pocket bag Sun and drizzle simply spill the earth, You can meet the beautiful flowers at the corner of the lane. And the tall and lovely plum, White, red, pink, They all bloom in a starry and subtle way. Jin Yuliang’s branch meets, Silver silk embroidery line meets plum. The pockets in front of the pocket bag can hold cards, and whether it is a MRT card or a leisure card, you can directly sense that you do not need to pull out the card. Inside, you can fold the banknotes in half, or you can place cards 呦^_^ Size: width 13.5 height 10 cm Material: Japanese wind fabric ■ Shopping Guide ■ Please read the following instructions carefully before purchase to make an order (especially the perfect suitor): We do not accept the following exchange or return as a reason: 1. Color difference: The photos of this design hall are taken in kind. The color of the photos can be different due to different scenes or different browsing devices. It is normal to never accept the color difference. The customer can describe the product as a reference, message, call or Facebook message query. 2. The buyer does not like it. The texture, workmanship, and layout are not good. It is different from the imagination after purchase.